Warning: Do not expect too much from me. This is just a product of being idle for a while. Also I cant guarantee the accuracy of the translation for some parts. But if you really cant wait, just like me. Please feel free to read! Tang Nazhi’s demand for a change of team was not granted. After Lunch, the students of Holy Roland School were all taken to the Dark Forest by their mentors. Dark Forest, located in the northern part of Long Xuan Empire is not just a vast area, it is also the most favorite place of the magical beasts to reside in. As such, the students of Holy Roland School, aside from being careful from the opponent’s sneak attack, have also need to be wary of low-level magical beasts. On the way to the Dark forest, Qi Xia, Yang Xi and Yan Yu were given the potions to suppress their strength by the instructors. Just a few minutes after drinking the potion, the originally energetic youths were now like spiritless eggplants. Shen Yanxiao who is sitting opposite of the three men was frowning with a visibly pale face. Her understanding of pharmaceutics has indeed increased, but she cannot tell if her knowledge is enough to make the antidote to cure them. “The moment we step in the Dark Forest, we will hide at once. I and Tang Nazhi will be responsible for the antidote.“Shen Yanxiao said. According to the current situation, there are up to 5 members in each group sitting together in each carriage. These carriages will bring them to the entrance of the Dark Forest. "Why are you so worried? Maybe the other groups are not thinking about that at all.” Tang Nazhi is naturally optimistic, and he does not feel that the students will seize the opportunity to attack them while they’re weak. Shen Yanxiao’s guess is absolutely right. At the entrance of the Dark Forest the students are all ready. They are intending to wait for Qi Xia’s group and once these top students of each branch suddenly become defenseless, they will immediately act! This is definitely a once-in-a-lifetime opportunity. Everyone knows very well that once these top students regain their strength first, they will be nothing. Compared with the powerful students like Qi Xia and Yang Xi, the situations of other students are much better. As Ouyang Huanyu said, the more powerful the student is, the greater the impact of the potions are. Under normal circ.u.mstances, ordinary students will only feel that their magic or dou qi speed is a bit slower. The degree of error is so little and although its tougher than usual, it is still tolerable. And yet, Qi xia and the others..
Shen Yanxiao has clearly asked them and the three beasts can still run fast without their magic and dou qi! Are they boasting their strength? Or they were not that much affected by the potion? Clearly not. They are still outside the Dark Forest and the three people can barely stand with Shen Yanxiao and Tang Nazhi’s support. Shen Yanxiao can clearly feel the malicious eyes around them in all directions. No doubt, if not for the test has not yet begun, she is afraid that these people have already jumped on them a long time ago. Shen Yanxiao’s group is not the only unlucky ones though. Cao Xu’s team has also become the target of other groups. This time, the two most powerful team have become the weakest ones! Fortunately, Ouyang Huanyu is not too insane. He instructed that in the first hour inside the Dark Forest, no one is allowed to attack another student. This one hour is a protection period given to each team to plan their key for this trip. You're Read The Good for Nothing Seventh Young Lady Chapter 124 online. If you find any errors or translatation mistakes, please let us know so we can fix that as soon as possible. You're reading The Good for Nothing Seventh Young Lady by Author(s): North Night,夜北. 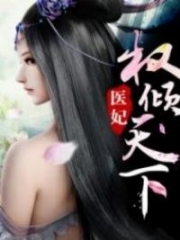 This novel has been translated and updated at LightNovelsOnl.com and has already 12080 views. And it would be great if you choose to read and follow your favorite novel on our website. We promise you that we'll bring you the latest novels, a novel list updates everyday and free. LightNovelsOnl.com is a very smart website for reading novels online, friendly on mobile. If you have any questions, please do not hesitate to contact us at [email protected] or just simply leave your comment so we'll know how to make you happy. Current Time is 26-Apr-2019 15:38:42 PM.